The combination of knowledge, experience, and skills are needed for nurses to meet the changing needs of their patients. A large demand of patient care and safety is based on the work of nurses. When care is sub par, because of certain inappropriate situations, nurses shoulder the responsibility. Having an understanding and engagement of strategies to improve quality of care and safety is paramount to a nurse’s work. A lot of factors affect the quality and safety of care provided by nurses such as environment, organizations, and systems. When teams function well and organization structures support their work, nurses are able to perform their job better with a high intensity of care. In the past, nurses relied heavily on their senses to monitor their patients and look for changes. As time passed, inaccurate use of senses were replaced with precision-based technologies designed to detect changes to patient’s conditions. Over time, technology has become extremely helpful tot the nursing career. 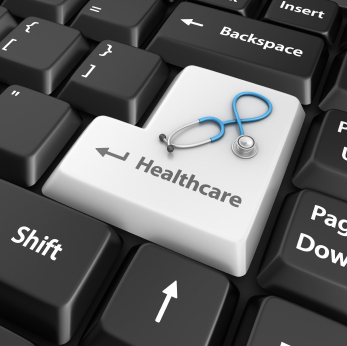 While technology has potentially improved patient care and safety, it is not without risks. Technology has been accounted for bringing a solution and added problems for safer health care. Problems may rise based on the sheer number of new devices, the complexity and careless introduction in using them. Although billions and billions of dollars have been spent every year on medical devices and equipment, nurses has paid little attention to technological implementation and integration. Technology also has introduced many errors and unintended mistakes. For instance the use of bar code system. Many believe that the bar coding medication administration reduces the medication errors, it was also believed to decreased physician’s ability to accurately deviate routine administration sequences. Another disadvantage of using technology is the associated expenditure. Not all hospitals can afford high-end equipments and devices. That is why more development is needed to more effectively introduce new technologies, reducing the risk to the patient care, and stress on nurses. 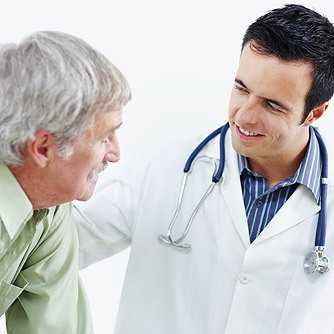 Every health care provider aims to provide the highest level of care for their patients. They are molded to become not only skilled in their field but also exhibit the utmost patient care as well as professional dealings. Medical professionals are always faced with the issue of how to improve patient care. They are aware that skills are not the only thing that matter to deliver the best patient care. More often than not, patients appreciate it when they are handled in a most human way. Patients are now more aware of issues underlining the medical practices like malpractice and they fear being involved in one. This creates a reason for them to seek medical practitioners who will deliver the best patient care. They will likely go to someone whom they trust rather than someone who is popular because of being expert in their field. People will go for competent, affectionate and empathetic health care professionals. For this reason, professionals in health care system are now seeking ways to develop interpersonal skills as early as during their education. Patient care is now emphasized in educational curriculum. The quality of patient care is not only quantified through technical and personal skills. The health care system needs to ensure that delivering patient care is at its best because of the new technology and infrastructure. The advancement of technology is a contributing factor in innovating new equipment and methods to efficiently get results from patients’ diagnosis. Moreover, patient care needs to be accessible to the patients anytime and anywhere. This is a great challenge to all health care professionals considering that there are still areas around the globe that are far beyond reach. It provides straightforward access to patient information. – When nurses think about EMR systems, they often concentrate on the disadvantages, such as the plenty of screens to check and the limitless displays they have to surf through. However, EMRs really can save your time by offering accessibility patient lab results, history, physical information and notes all in one location. Obtaining this data via paper charts could take hours, but with an EMR, it’s all at your convenience. It helps provide precise medicines. – Every health professional knows about the five privileges of medication management. However, many nurses also know first-hand how challenging it can be to document each step on paper. Luckily, with EMRs, precise medication information is always available and up-dates can be recorded with convenience. You can also quickly access allergic reaction backgrounds and medication information and see how the medication will communicate with other medicines. As a result, you can ensure that the right medication is going to the right sufferers. It enables you to research illnesses and diseases. – Every day, you care for sufferers being affected by an ever-changing variety of conditions. It’s challenging, if not difficult, to know everything about every illness process. However, it is simple to learn. Internet sources such as UpToDate.com, an evidence-based, physician-authored medical data source, can give you information you need to cure diseases that you don’t regularly experience. According to the DEA, it is now legal to deliver medications for controlled substances digitally. By following DEA requirements for EPCS, physicians have the option to digitally sign and deliver electronic prescriptions for controlled substances to certified drug stores. While some suppliers still may not be fully aware of this new ability, others are enjoying the advantages. The obvious advantages associated with EPCS adopting include enhancing work-flow, creating complete EHRs, removing the prospective for stolen or changed prescription blanks, decreasing drugstore callbacks on illegibility, avoiding “pharmacy shopping,” and increasing overall individual safety and patient care. These factors, along with the problem of fighting the prescribed drug addiction plague in the United States, will likely be the power in extensive EPCS adoption. While these features will take center stage, it’s important not to ignore the impact that this new form of controlled substance prescribing will have on patient care. 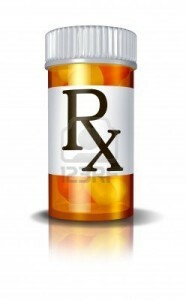 Many physicians and pharmacy technician already understand the severity of this new prescription ability in enhancing individual well-being. At a time when Accountable Care Organizations (ACOs) and patient quality reporting dominate medical care headlines, there is no question that the move towards a patient-centered medical care model is in full swing. In states where EPCS for Schedule II medicines is legal, experts who are dedicated to psychiatry, pain management, or emergency medicine will likely develop a unique admiration for this new technology. When one views the regularity with which pain management physicians and psychiatrists recommend Schedule II medicines, the amount is impressive. Medications like Adderall, Oxycontin, Ritalin, and Morphine receive a lot of negative press because of their potential for misuse and diversion, but what many don’t realize is that there is a very large market with genuine medical need that require these medicines to go about everyday living. The Controlled Substance Act (CSA) requires, with very limited exemption, that Schedule II medications be written on original prescription forms from the specialist. These medications must be sent to the drugstore, are not refillable and may not be called in or faxed. While significantly decreasing the possibility for disruption, these conditions make significant difficulties for sufferers who regularly fill these medications. To corrupt an old quotation, there is nothing like a new transaction program to focus the mind of a medical center manager. The U.S. medical care program is seeing a surge of distribution program analysis, motivated by numerous transaction projects such as CMS’s medical center readmissions reduction program (established through the Affordable Care Act). 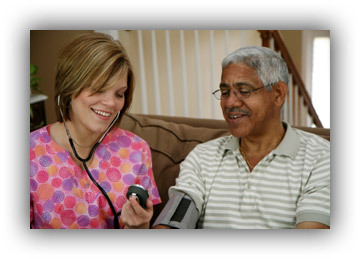 New patient care designs, such as the Presbyterian Healthcare Service’s “Hospital at Home” in Albuquerque, New Mexico and the Mercy Health “Care Transitions Program” in Cincinnati, Ohio are moving patient care out of the constraints of hospitals and medical centers and placing them to the individual’s houses. There, individual knowledge and care synchronization may be more effective, thus avoiding additional expensive medical center bills. Preliminary data recommend that these programs work. Yet the record of the U.S. medical care program informs us that these interesting projects can crumple to perverse actions. The execution of inpatient potential transaction in 1983 triggered the home medical market. However, along with improved patient care in houses came issues about sky-rocketing costs, excessive use, unsuitable use, and scams. To find the ‘special sauce’ that will truly move our wellness care program from one targeted on dealing with illness to one targeted on health, we need to carefully assess these interesting new projects, in particular, looking at their impact on the greatest endpoint, population health. The problem of paying for health rather than illness has been a traditional situation. As George Bernard Shaw mentioned in 1906, “That any sane nation, having observed that you could provide for the supply of bread by giving bakers a pecuniary interest in baking for you, should go on to give a surgeon a pecuniary interest in cutting off your leg, is enough to make one despair of political humanity.” If GBS were in existence today he might be very carefully buoyed up by the current initiatives to deal with this centuries old situation. People check out the healthcare center for a variety of ailments; some minimal, some serious, and some life-threatening. Whether you are getting stitching for a small cut or going through a major surgery treatment, the anticipations of every individual are generally the same; that you will get qualified and sympathetic patient care when you visit the healthcare center in a time of need. But what happens when physicians are tired or sick themselves? Nurses’ work is not easy. Especially in healthcare center configurations, many nurses must deal with the perceptive suffering and stressful actual requirements of a 12-hour work-day. As a result of working in such an extreme and challenging atmosphere, the healthcare staff often experience accidents themselves. The American Journal of Nursing shows that 75 % of the healthcare staff experience some level of actual pain from a muscle stress or stress while at work. In addition, almost 20 % of the healthcare staff engaged in the study had warning signs of depressive disorders. According to the American Journal of Nursing, the quality of patient care does, in fact, reduce when the medical staff is tired. Scientists discovered that the risks of a patient fall such as prescription mistakes and mistakes including sedation or discomfort drugs, increased by about 20 percent when a health professional was in discomfort or suffering from depression. The significance of these conclusions should not be taken gently. Medication mistakes created by physicians or the medical staff can have risky repercussions for sufferers and may result in serious injury or loss of life. Adding to the problem, nurse-to-patient employment percentages are not always consistent in medical centers. Because of this, the medical staff can find themselves in potentially risky situation of looking after for more sufferers than what is comfortable. The outcome is that sufferers may receive insufficient or inadequate treatment. Unfortunately, when avoidable mistakes occur because our caretakers are tired, harmed, or over-worked, sufferers are the ones who suffer the most. The largest U.S. health insurance provider, the Centers for Medicare and Medicaid Services (CMS), has set a multiple aim: better care for patients, better health for communities, and lower costs. At the same time, major efforts have been released to make healthcare more patient-centered, defined as “respectful of and aware of individual patient choices, needs, and principles, and ensuring that individual principles guide all clinical choices.”Attention to patient-centered actions and results will be particularly important as CMS moves increasingly to link medical healthcare providers’ compensation to their performance on selected actions. So far, tests of quality of patient care and wellness results have not incorporated patient-centeredness. Rather, amount of quality has resolved preventive and disease-specific wellness care processes (e.g., smoking-cessation guidance and start of appropriate medications after myocardial infarction). Similarly, results measurement has focused on condition-specific signs, both short-term (e.g., glycated hemoglobin levels and high blood pressure control) and longer-term (e.g., disease-free survival), as well as overall death rate. Though these process and results measures work well for relatively healthy sufferers with single illnesses, they may be unsuitable for sufferers with several circumstances, serious impairment, or short life expectancy. For such sufferers, the overall quality of health care is determined by more than just disease-specific health care procedures. Furthermore, disease-specific results may not effectively indicate treatment effects in sufferers with several coexisting illnesses. Adopting of more worldwide results, such as efficient position, would not ensure patient-centeredness unless they were regarded within the perspective of individual patients’ objectives and choices in the face of trade-offs. Perhaps the most important hurdle to goal-oriented patient care is that remedies are greatly based in a disease-outcome–based model. Rather than asking what sufferers want, the culture has respected handling each condition as well as possible according to recommendations and inhabitants’ goals. Ultimately, good remedies are about doing right for the affected person. For sufferers with several serious illnesses, serious impairment, or limited life expectancy, any bookkeeping of how well we’re following in providing health care must above all consider patients’ recommended results.